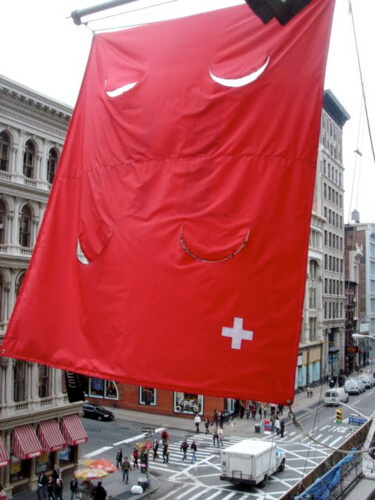 The Swiss Institute commissioned Olivier Mosset, a 2008 Whitney Biennial artist, to re-design the Swiss flag. 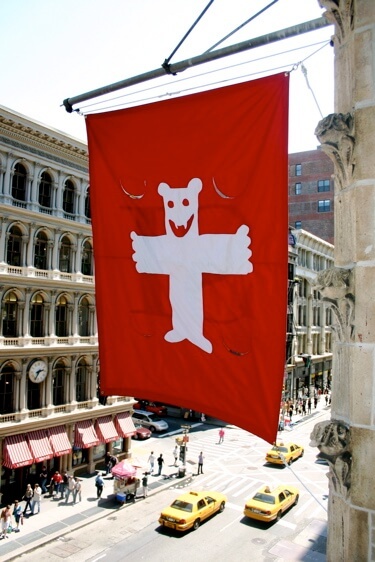 Mosset merges both the red of Switzerland with that of Communism, so that the Red’s flag may hang on Broadway. On its backside, in a moment of detournement, Mosset inverts the SI logo to be IS, a tongue in cheek reference to Guy Debord and the International Situationists.